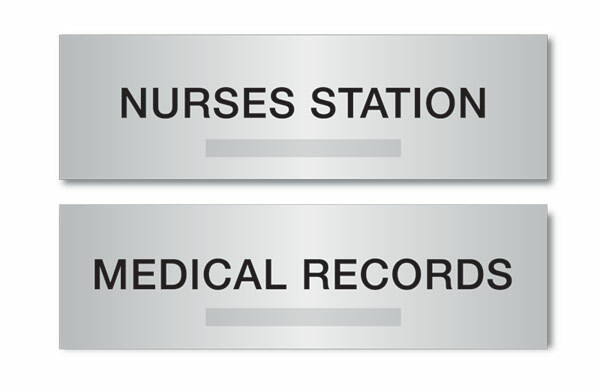 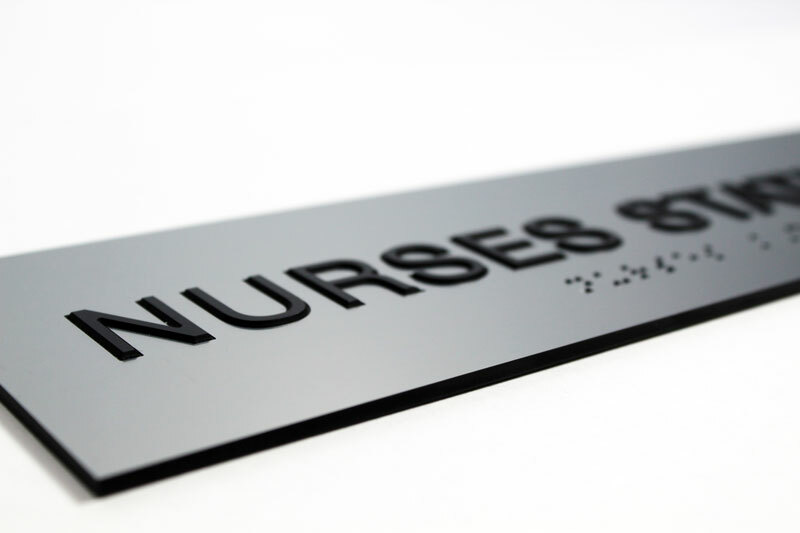 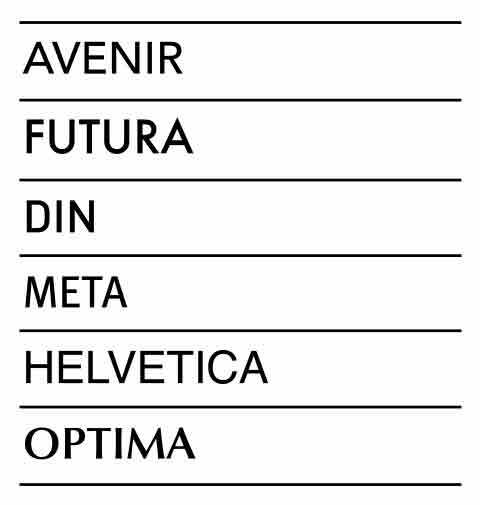 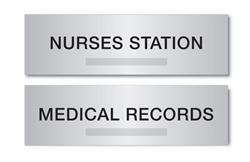 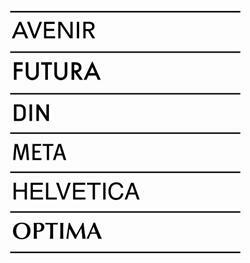 Office Signs | Door Signs | Nameplates > ADA Braille Signage > ADA Braille Signs - 11" x 3.25"
ADA Braille Signs - 11" x 3.25"
Add a touch of class to any restaurant, spa or office environment. 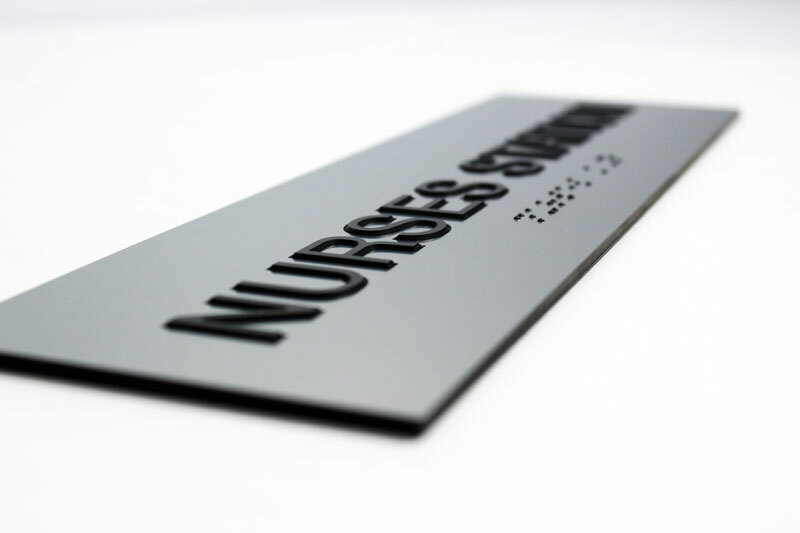 Tactile black lettering and graphics on a brushed-metal looking finish. 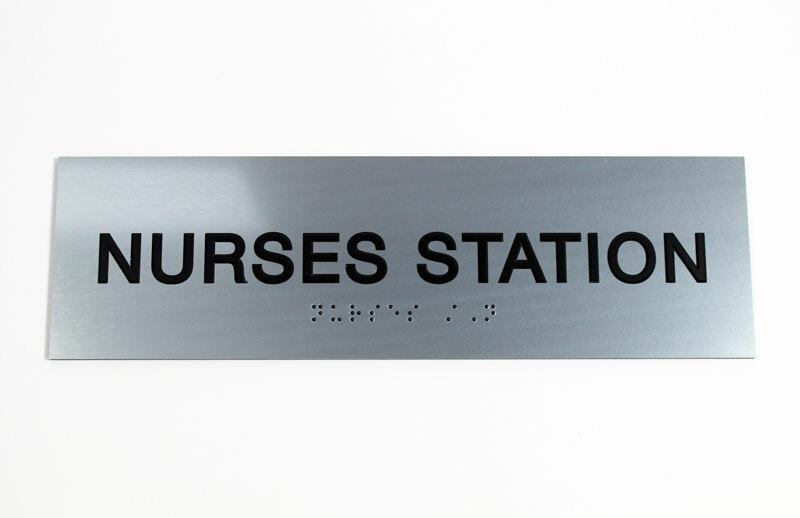 ADA braille dots included. Personalized braille door signs (1/8" thick). Each sign includes ADA compliant Braille lettering and tactile lettering/graphics. Custom ADA compliant braille office signs & ADA office.